The many ways technology is used to communicate with parents (yet no one way is the best). Online education industry expected to grow 8x in India. And “clickers” may not help concepts mentally click. All this week in edtech reports. These summaries of new studies, surveys, and research (plus the occasional commentary and analysis) are based on snippets from Twitter shared by @FrankCatalano. Feel free to follow. 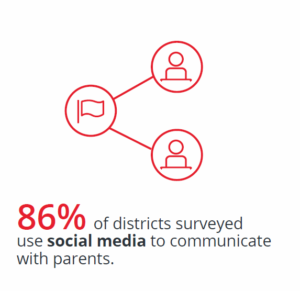 West Corporation has released the results of a national survey of school districts detailing how they’re using communications technology to engage parents and families. West, provider of SchoolMessenger solutions, has some expertise in this area as its communications products are used by tens of thousands of schools across North America. Mobile apps are on the rise. Projecting from today’s use to their planned investment of time and resources over the next 1-3 years, districts expect a 44% increase in their emphasis on mobile apps to engage parents. Overall, mobile apps were predicted to be the “most effective and used” communications technology in 1-3 years by 53% of those surveyed, coming in right behind social media (76%) and text messaging (69%). Despite this increase and optimism, district leaders are concerned about the proliferation of communications apps that parents are asked to download. Social media is a dominant force. Across all questions and time frames, social media was seen as a significant communications tool for schools to engage parents. Some 85% of districts use it today, 61% of district leaders find it effective today, and 76% expect it to be the most effective tool in 1-3 years. But it’s not without pitfalls, due to negative posts and constant monitoring. Multiple channels are key to maximum parent engagement. 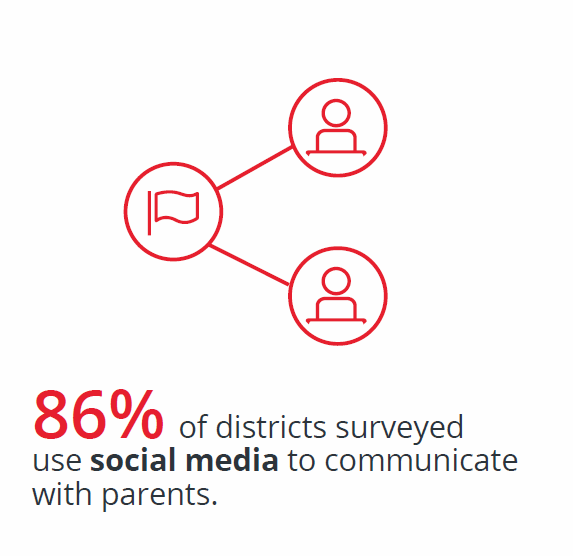 Of districts surveyed, 65% already use five or more communications channels to engage with parents. And even though some may perceive it as an “old” technology, broadcast voice notification remains important — 65% find it effective today, and a stunning 96% use it today, making broadcast voice notification the most commonly used communications technology by respondents. But all is not sparkling unicorns and fluffy happy bunnies. Districts report several significant obstacles to using communications tech to engage parents — and parent internet access tops the list, at 45%. Rounding out the top five challenges: staff training and time, at 41% and 38%, respectively, then mobile app proliferation at 33%, and finally automatic language translation, cited by 26% of respondents. Interestingly, parent mobile device ownership, at 17%, was not seen as as much of an obstacle. KPMG and Google have sponsored a study of online education in India that shows remarkable potential growth. The report, “Online Education in India: 2021,” appears to look at online instruction, and not edtech in general (despite a misleading news story headline). It notes re-skilling and online certification — two adult/lifelong learning segments — are the biggest segments now, followed by primary and secondary education. But primary and secondary education are expected to surpass all other segments in size by 2021. A research study out of the University of Massachusetts at Dartmouth indicates that “clickers” — those little handheld devices that students use to respond to quizzes in class — are complicated. Complicated in that while they appear to help students learn facts, their use when the facts are disassociated from the bigger picture may get in the way of understanding the overall concept taught. It’s worth reading the nuanced article in EdSurge. And it again shows that the “edtech good/bad” dichotomy is too simplistic. It’s not just the tool. It’s the context in which the tool is used, and how it’s used. I sat in to co-host a GeekWire podcast on one of my favorite topics: tech in libraries. Seattle City Librarian Marcellus Turner was wonderfully open in our interview, from his take on Maker spaces and libraries (in Seattle, they’ll give instruction into how to use them, but won’t dedicate space to them due to the number of other options in the community), to his wish list for Seattle’s libraries (a library-employed “journalist,” and experimenting with 365/7/24 opening hours). Libraries are a vital part of community education and have their own kind of edtech. I encourage you to read the article, and listen to the podcast, with the head of one of the nation’s top libraries for tech.